The hotel we were staying at, Protea Fire & Ice, offered buffet style breakfast. 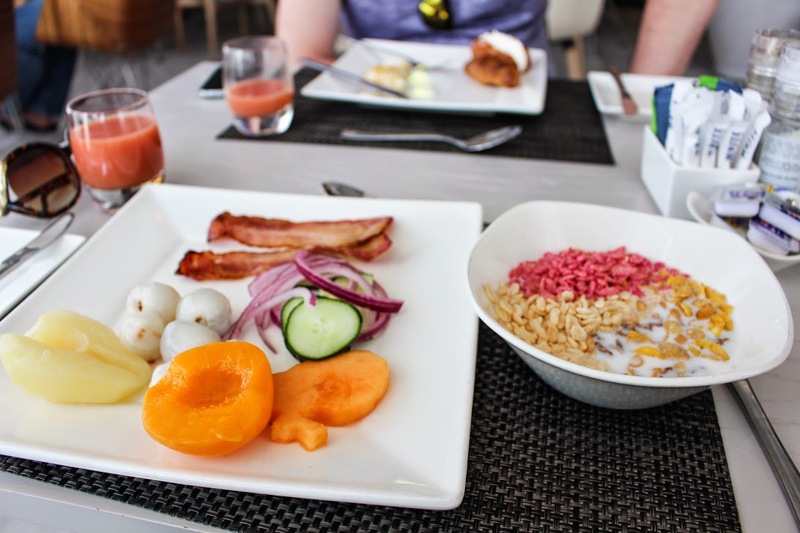 You can choose from salads, fruits, eggs & bacon, cereal, and the other usual breakfast items. 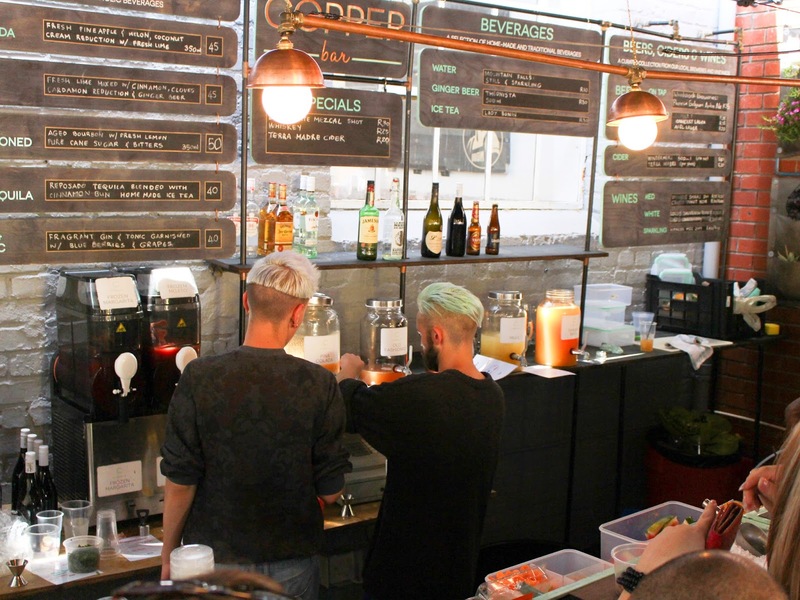 There's also many flavors of fruit juice and coffee you can choose from. 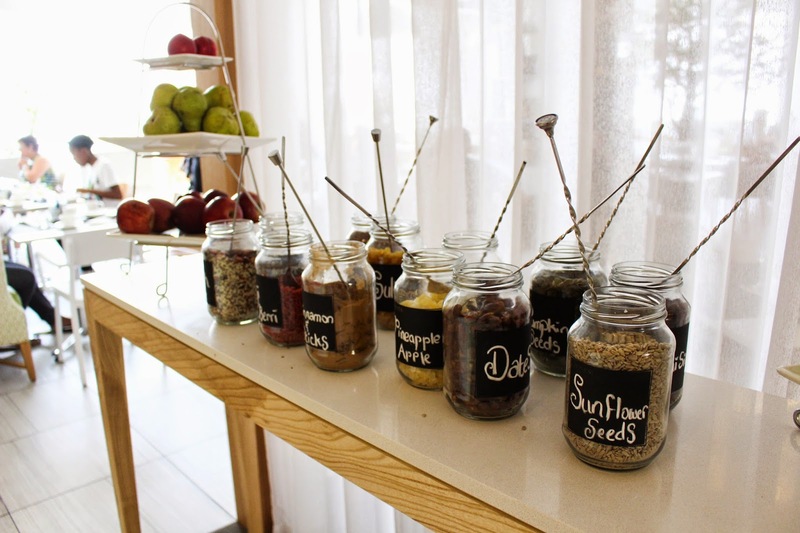 The decor inside the hotel restaurant is also very modern and earthy, with plants all along the walls, jars of seeds on the side and a big tree in the middle of the room. 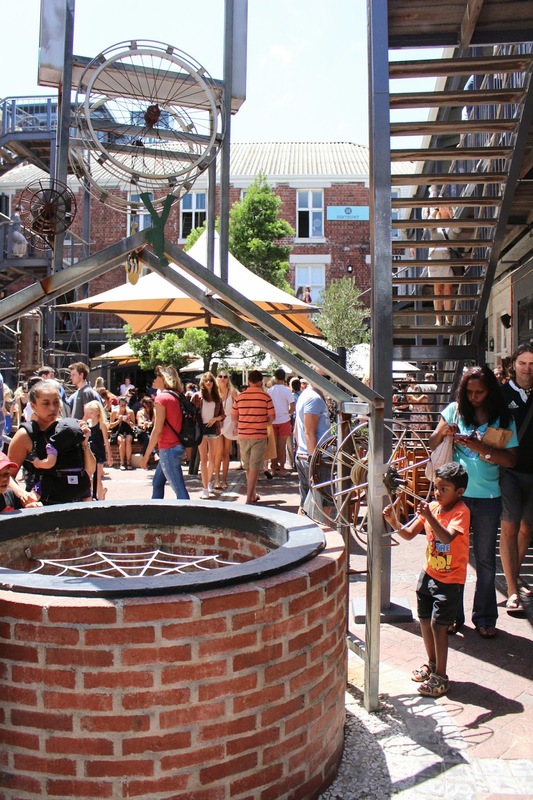 After a refreshing breakfast, we were off to the Old Biscuit Mill. Our friends picked us up, and it was around a 10 or 15 minute drive to Woodstock. I noticed that South Africans really like to drive cars with no trunks! A lot of their cars have a shaved off back with very limited trunk space. That just surprises me because in a city where land is so spread out, you would probably need to buy household supplies and groceries once a week but where would you put it? Especially for a family of four, there would be no space! Or maybe I'm just too used to the US where everyone drives vans, and big sedans with plenty of trunk space. Back to Woodstock, it is actually one of the most dodgiest places in Cape Town. If you walked there at night time you'll probably get stabbed, robbed, and raped. Interestingly, when there are places like this, hipsters will go in and start taking over the area because it is so cheap to open a store etc. The Old Biscuit Mill is exactly like that. It used to be a biscuit factory (just as the name suggests), but now it's been converted into a super hipster land. 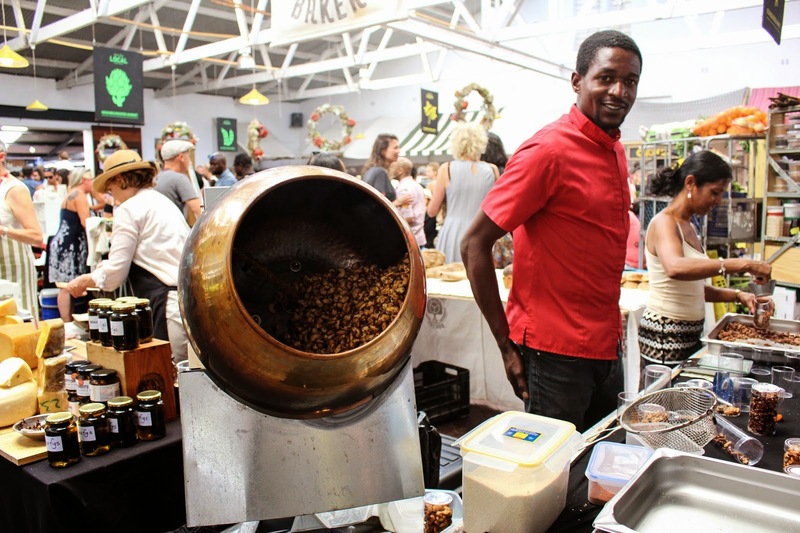 The Old Biscuit Mill is like a weekend market where they sell produced, food, gadgets, accessories, and creative home decor items. 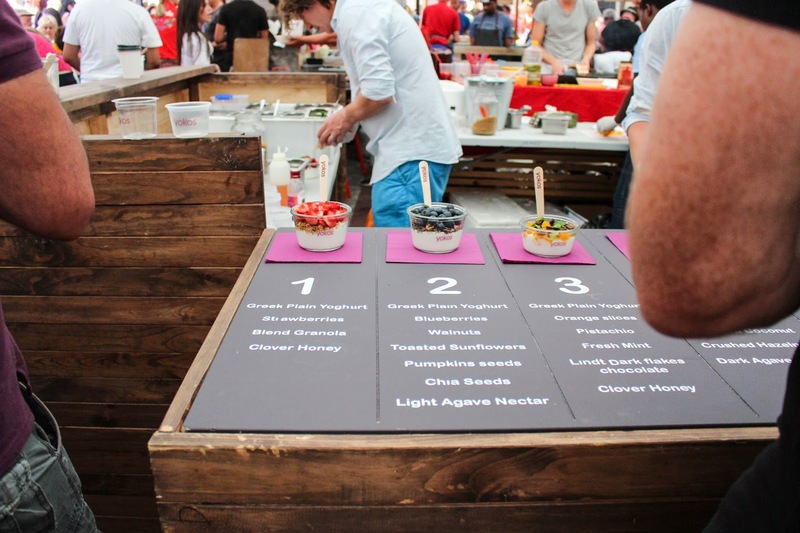 There are hundreds of stalls there so you could easily spend an afternoon there. There were a few stalls that I loved, one was a cocktail bar that made mojitos. Their watermelon flavored one is pretty good, and the guys serving the bar had blue green hair! There's also another stall that sold fresh milkshakes in many different flavors like chocolate, vanilla, lemon, banana, strawberry...etc it's very different from milkshake you get at restaurants around Cape Town. It doesn't taste artificial and they use actual fruit in their milkshakes. After grabbing food we walked around the other stalls. I saw these hand made bamboo wood sunglasses that were $1,400 Rand.. $140 US, that is pretty expensive and probably only hipsters would justify that price! 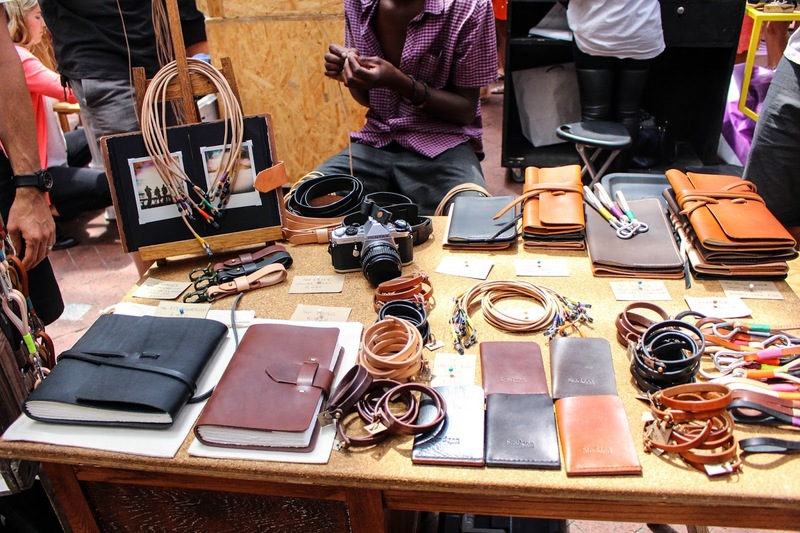 There's also stalls that sell leather goods and even 3D printed accessories. And then there was a store that sold only vintage items, toys/books/furniture from maybe 1950-1970? For lunch we drove down to Muizenberg, which is a super windy beach famous for surfing and kite surfing, also it's very colorful little guys alongside the beach. We had some pizza at Knead and made our way further south to Boulder's beach. 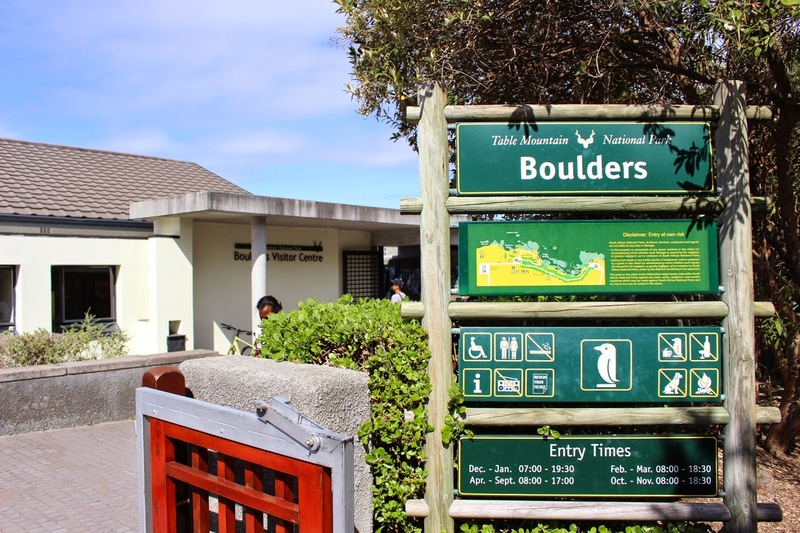 Boulder's beach is penguin heaven! There's a penguin sanctuary there where they built hundreds of nests on dry land for the penguins to sleep in. 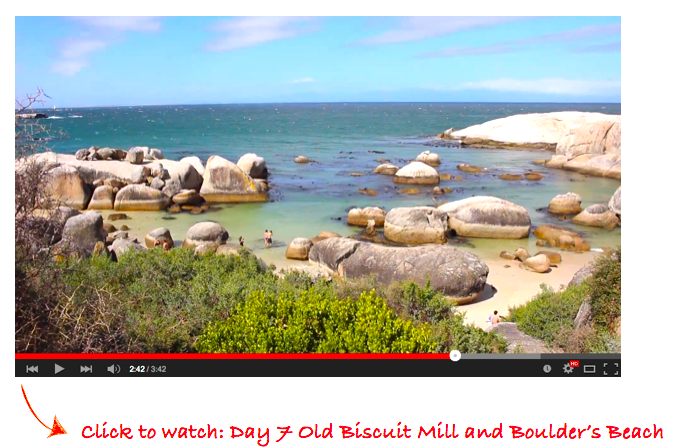 But they usually just hang around in the bushes and sun bathe on the big boulders on the beach. You have to pay around $60 Rand to get in, but it lets you get real close with the penguins since you can swim at the beach with them! 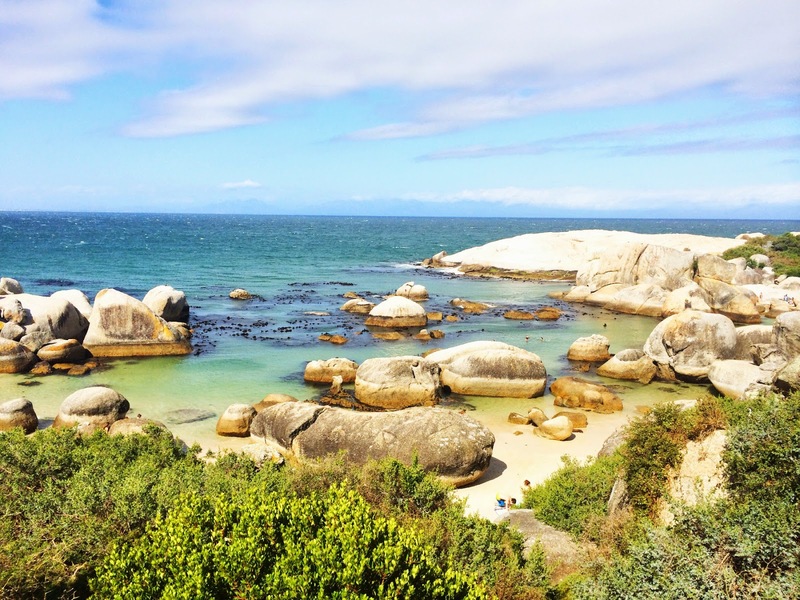 Unlike other beaches in Cape Town, Boulder's beach actually is warm enough to swim in, and the view is beautiful. If you aren't planning to swim, you can walk along the top walkway where you don't need to pay. 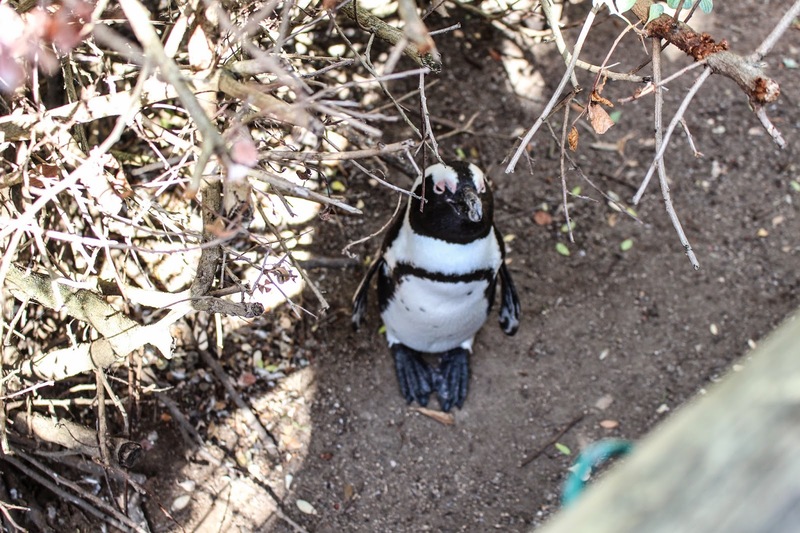 You will still see penguins very close to you, but just between a fence and you don't get access to the beach. On the way back we drove on the back side of Table Mountain called "Chapman's Peak Drive". It's one of the most scenic drives in South Africa and very often used as a backdrop to car advertisements. For dinner, we went to Hussar Grill. And I actually saw Louis from Fun for Louis again! He was actually busy so I didn't bother him. 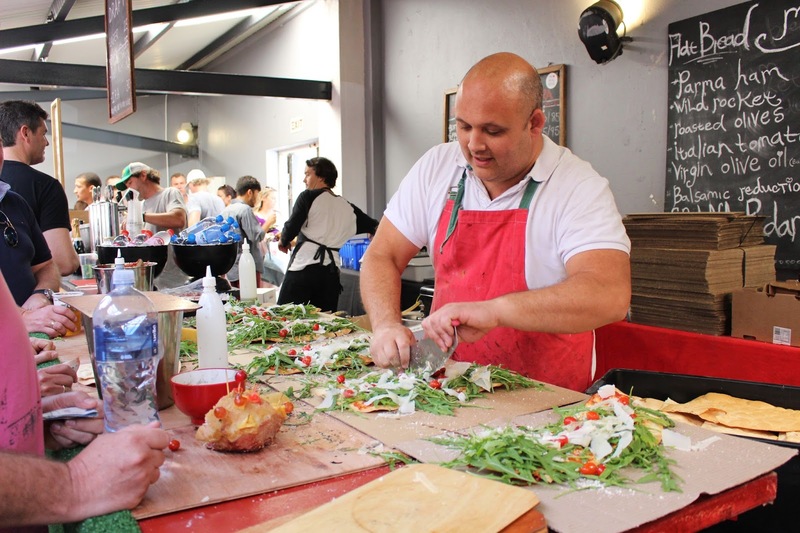 The Green Point branch was really full so we went to the Roudebosch branch instead. I ordered a game meat kebaab (or skewer, in American terms). It was actually the first time I've had game meat before, it was really interesting. I had Kudu (which is this really big deer with long horns), Spring Buk (a smaller deer), and Wildebeest (a big buffalo type animal). They actually all taste like beef, just a bit more tough, but some have a richer taste. Another thing I noticed that is different in South Africa is that when you pay for restaurant bills with credit card, they actually bring the Credit Card swiping machine when you pay. The reason being there's actually a lot of credit card numbers stolen when you hand it to someone and they walk away with it, so South Africans aren't really comfortable handing their credit card to a stranger. The next day we're going to Aquila private game park to see the Big 5, so we had an early night.